The Lancaster Cleaning Company Ltd : Professional cleaners in Lancaster. Welcome to The Lancaster Cleaning Company Ltd. Affordable & Professional Cleaning services in Lancaster & the surrounding areas. The Lancaster Cleaning Company Ltd offer a range of domestic house cleaning services; regular cleans, temporary help, spring cleans, deep cleaning & end of tenancy cleans. We can also provide a variety of commercial cleaning services too. We are the perfect solution for home owners, tenants, landlords, estate and letting agents, businesses, property management companies who need a professional cleaning company who you can rely on to get the job done with a minimum of fuss. No job to big or small. Contact us to find out more: Call 01524 884 898 or use our contact form below. The Lancaster Cleaning Company are happy to discuss one off cleans or contract cleaning. As part of our domestic cleaning service we are also able to offer our clients interior window cleaning, oven cleaning, and even ironing services. So whether it is dusting, vacuuming, or a general tidy round, the team here at The Lancaster Cleaning Company have a service for you. Many of our customers value their own time and would much prefer to have a reliable professional cleaning company keep their property clean and tidy leaving them more time to relax at the end of a long hard day at work. All our staff are uniformed and have been individually chosen for their professionalism and ability to meet the standards you would expect. Maybe your bathroom needs a deep clean or you are moving home and you need all the rooms cleaning asap. 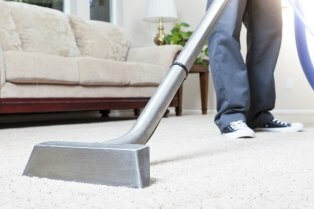 Maybe you are about to lease a property and need a cleaning company to give each room a clean including those hard to get places that seem to gather so much dust. Leaving them smelling fresh and clean. Call 01524 884 898 or use the contaact form below. Contact The Lancaster Cleaning Company now.